Round 4 of the Shimano MTB Grand Prix Series turned a cow paddock into a pumping cycle event centre on the weekend. Riders from all over NSW and the ACT competed in the 4 and 7 hour competitions with Gina Ricardo and Daniel Bonello from Sydney taking out the shorter racing solo events. The seven-time 24-hour Solo World Champion Jason English from Newcastle won the general classification in the seven hour men’s solo competition and Meredith Quinlan from Sydney the women’s solo classification. However, it was two junior teams who had the racing crowd cheering as they took out the overall line honours in both the 4 and 7 hour events. The line up at the start of the Shimano MTB Grand Prix at Singleton was impressive – you had seven-time 24 Hour Solo World Champion Jason English rub shoulders with pro-road cyclist Daniel Bonello, as well as Olympic gold medalist Kevin Nichols. Then there was Peter Selkrig, former pro-road cyclist and multiple winner of numerous masters titles on the road and on the national as well as international mountain biking scene as well as Claudia Fiess, the reigning 24-hour Solo World Champion in her age group. Another regular name on the Rocky Trail start lists is Garry James, multiple category winner of the Crocodile Trophy stage race as well as Gina Ricardo, multiple Tour of Timor and Tour Down Under finisher. The course was a fast but a deceiving one – hidden climbs put pressure on the riders legs and minds and the flat and corner sections demanded endurance and riding skills. For Gina Ricardo it had also been a training race in preparation for the Tour of Timor later in the year, which will be her fourth appearance. “The race track here was quite flat, but still good training and I enjoyed today”, she said after 9 laps in 4:05:48. In the seven hour it was the expected result in the men’s with Jason English taking out not only the GC solo field with 18 laps in 7:12:29 ahead of Garry James (16 laps) and Jon Battle (16 laps), but also coming in second overall in the race among all participating teams. Women’s solo GC winner Meredith Quinlan agreed, “It was just a beautifully flowing course.” She did admit that the last lap was tough, going out on her 14th lap just before the 7-hour mark had “not been the plan”. Quinlan finished in 7:28:42 ahead of 24-hour 50+ Solo World Champion Claudia Fiess from Sydney and Diane Perry from Teagardens. The overall line honours of most laps completed in the two competitions were claimed by two junior teams. In the 4-hour event, Matthew Dinham and Ben Metcalfe completed 12 laps in 4:21:09. Matthew Dinham was also the second across the line after lap one, just behind Luke Brame, a fellow junior racer. “It was great to have Luke Brame and some of the other fast young racers out there here today, even just to compare lap times.” Both also keen road cyclists, Matt and Ben admitted that their hearts were still beating for mountain biking. “It’s good to mix it up every now and again, but as they say, ‘once a mountain biker, always a mountain biker”, concluded Ben Metcalfe. 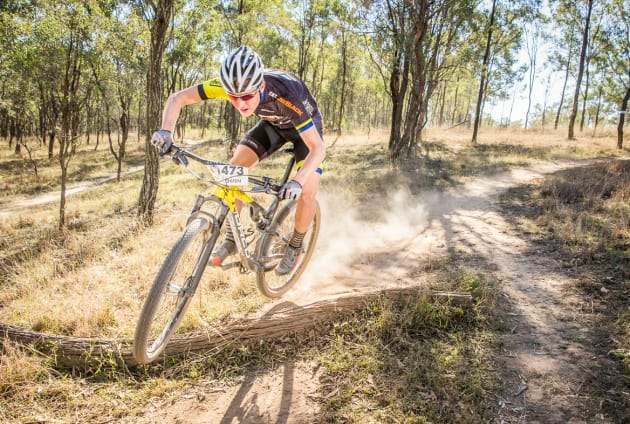 Owen Gordon, nephew of 24-hour Solo World Champion Craig Gordon and equally talented has been making his mark on the results list of Australia’s mountain bike events in recent years. A regular at Rocky Trail events, he has been competing with Scott Reynolds in a Blue Mountains-team for the JetBlack Racing squad. In Singleton they completed 19 laps in 7:22:59. Next up on the Shimano MTB GP calendar is the series finale at Stromlo Forest Park in Canberra on 26 August. Ben Fillingham and Natalie Anderson are the 4-hour GC solo leaders and John Harris and Meredith Quinlan will be defending their 7-hour leads. 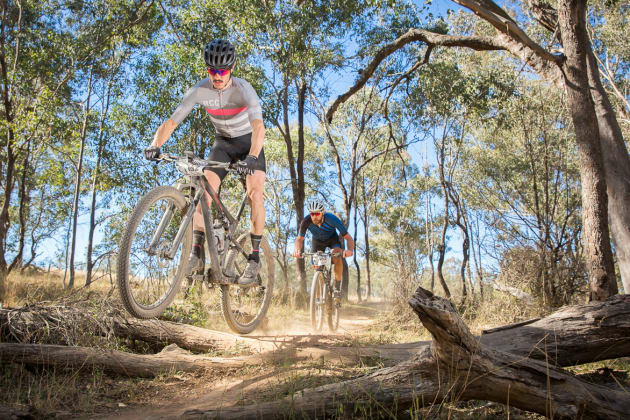 The event will be also hosting the launch of Rocky Trail’s latest event concept, the Elite Sprint Cup, which will be held at Stromlo Forest Park also on the Sunday, 27 August. 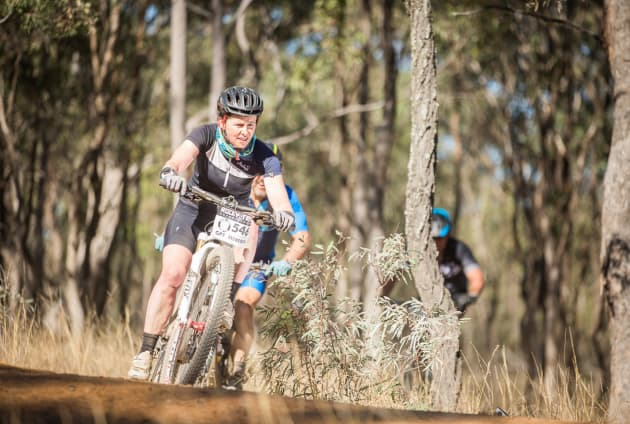 The elite-focused race is to launch a platform for Australia’s top mountain biking athletes to perform and promote themselves in front of a very captive audience – the Rocky Trail racing crowd and visitors from near and far. 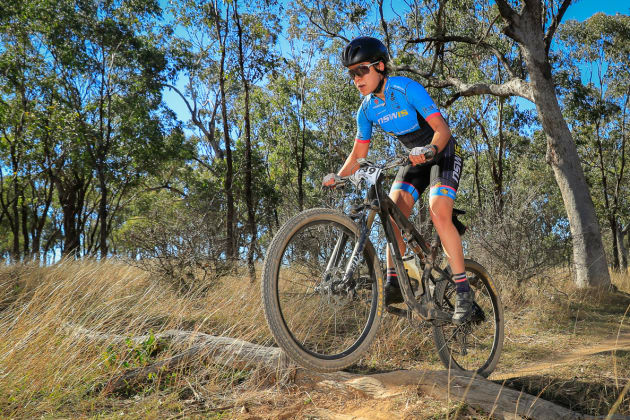 The spectator-friendly sprint course will be short, feisty and the perfect opportunity to see some of the best mountain bike racers in Australia on show.